Confirm what campaign will take priority when assigned groups or recipients overlap. 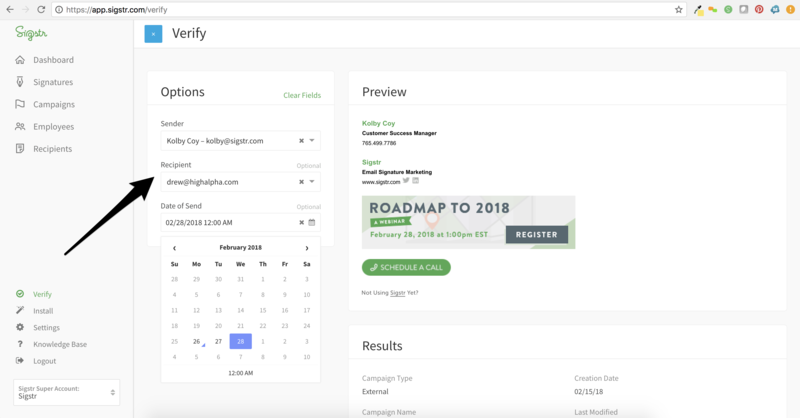 With Sigstr's various campaign types and scheduling capabilities, it can be difficult to understand which campaign banners will be served, especially when you have a scheduled content calendar or advanced ABM strategy. A scheduled campaign will always take precedence over an unscheduled campaign, even if the unscheduled campaign is created at a later date. Sigstr’s Account-Based Marketing functionality gives customers the ability to target specific accounts or individual email recipients with content tailored to each audience. Companies who take an ABM approach see increased campaign engagement and higher conversion rates. If a specific recipient contact or account domain is assigned to multiple campaigns, the campaign that has the nearest end date will take priority. There are a couple factors in play, if a recipient is on multiple lists and assigned to multiple ABM campaigns. If all other attributes (scheduled dates, assigned recipients, assigned groups) are the exact same, the newest created campaign will take priority. If involved, scheduling will win out over creation date. Sigstr Verify is a feature that gives customers confidence in the timing and personalization of their Sigstr banners to ensure ongoing success. You are able to confirm priority and what campaign will display given certain inputs.